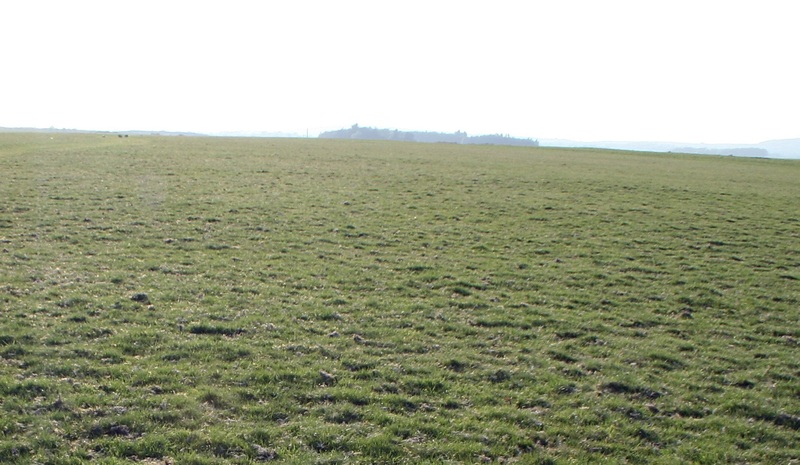 The Curragh plains are in the East of Ireland, in County Kildare. It is a lovely area of flat open grass land, (approx. 20 square km), most of which is common land. 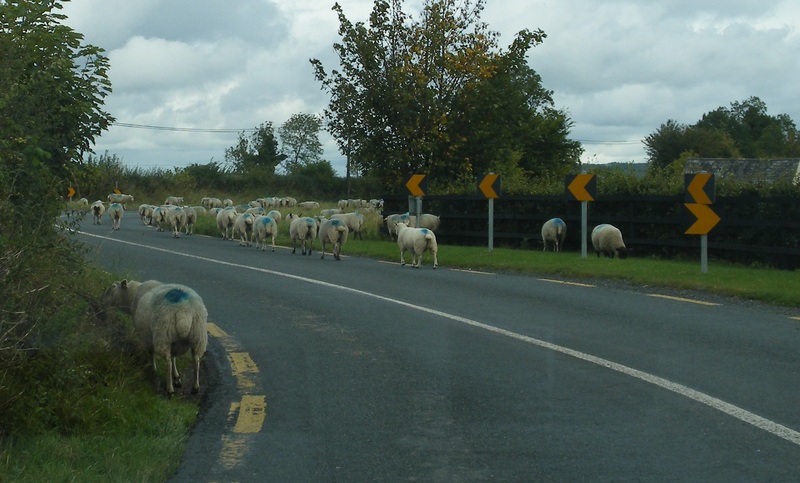 As the land is open grazing, visitors driving across the Curragh have to be careful not to hit any of the livestock which can wander on the roads. But as the landscape is open and flat the sheep are easy to see and can generally be avoided with ease. Straight forward enough you would have thought. 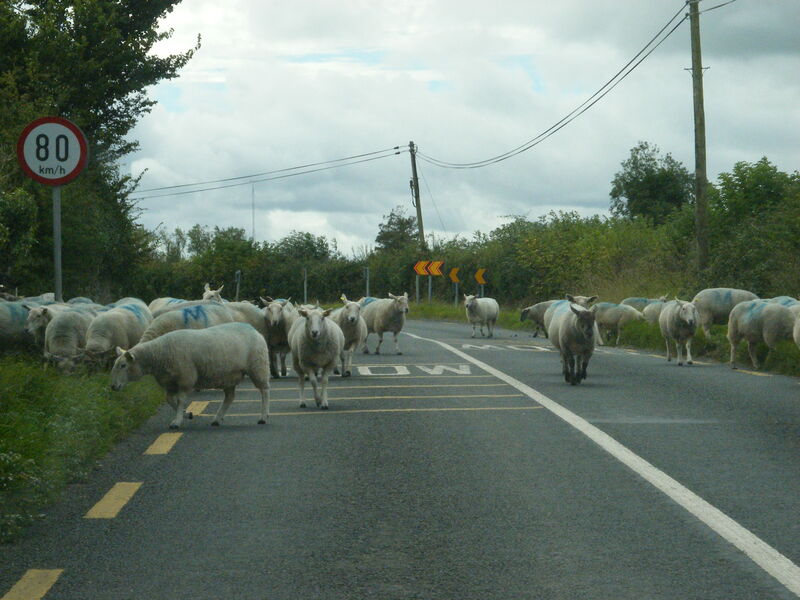 Well not so fast, there is also the danger of sheep leaving the Curragh and strolling down the many access roads, most of which are narrow, twisty and surrounded by ditches which block visibility. To combat this cattle grids have been installed on all access routes into the Curragh, while fences enclose the railway and motorway which cross the Curragh. Accommodation bridges and tunnels have been provided to allow sheep and horses to cross these barriers safely. 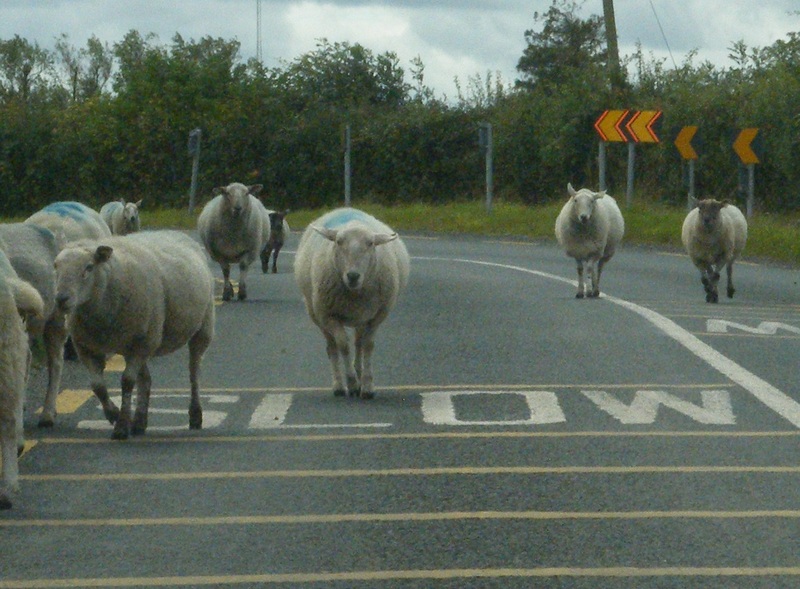 So the roads are protected against wandering sheep? Not quite, all seem to be except for the one road which I happened to be driving on recently. 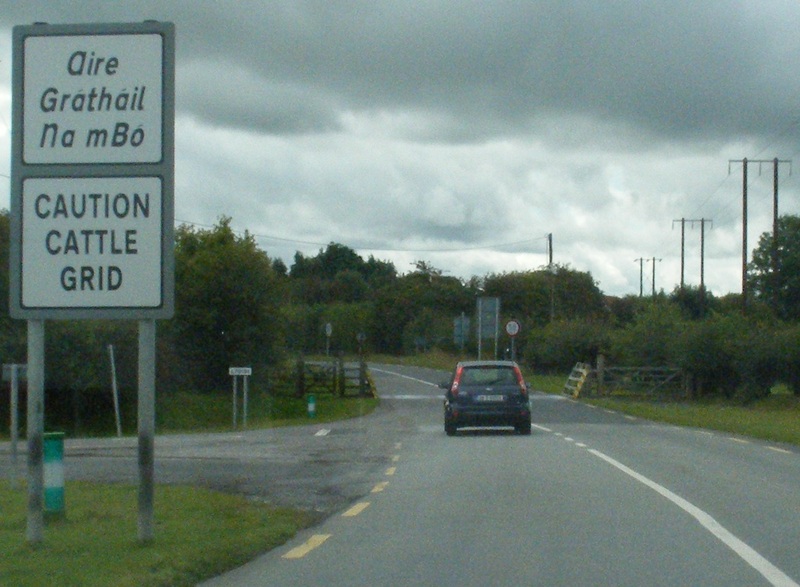 The Milltown to Kildare Town road has no cattle grid where it enters the Curragh on the Milltown side. As a result I very nearly killed a few sheep the other day, luckily I stopped in time, as the sheep had no intention of getting out of way of my car. I took some pictures to show how dangerous this road can become when sheep decide to go walk about. The photographs show how little advance warning there is of the road ahead because of the sharp bends and high roadside ditches. It is time another cattle grid was provided before someone gets killed. It is also another reminder that road safety is not always about driver training and actions but it is also about providing reasonable safe roads and removing obvious danger areas. It’s what used to attract tourist to Ireland, I’m glad the Sheep are making a come back, life just have to revolve around the rural farming community.